Jacob Sutton a realizat un clip video cu snowboarderul profesionist William Hughes în munţii Alpi, singura sursă de lumină fiind costumul de iarnă al lui Hughes, informează Huffington Post. “Sunt fascinat de lucrurile luminate în moduri neobişnuite şi mi s-a părut o idee bună ca singura sursă de lumină să fie subiectul filmului. M-a atras foarte mult acest personaj realizat din lumină care se dă cu snowboardul prin întuneric”, a spus Jacob Sutton. Hughes a mărturisit că a fost cea mai fantastică experienţă de care a avut parte în 20 de ani de când se dă cu snowboardul. 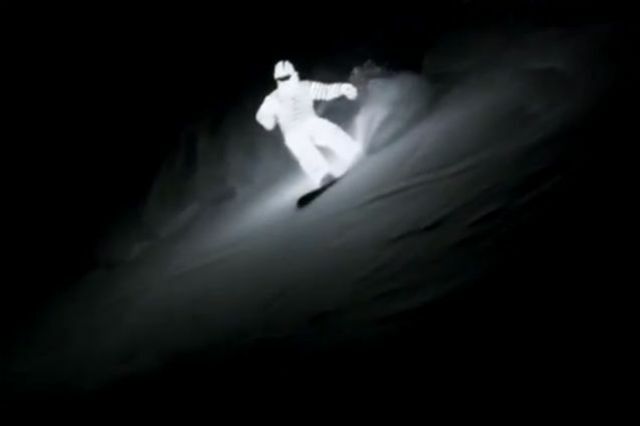 12 comentarii la "Experiment paranormal cu snowboardul în Alpi / VIDEO"
si ce e paranormal in legatura cu asta? By JUAN A. LOZANOAssociated Press HOUSTON (AP) – A nonprofit group estimates that it would cost nearly $243 million to convert the iconic but shuttered Houston Astrodome into a massive indoor park and surrounding green space. The Urban Land Institute on Monday released its final report on the Astrodome proposal, saying the stadium “can and should live on.” The group’s report outlines a plan to create a civic space out of the stadium that opened in 1965 and closed in 2009. It includes a park inside the Astrodome, and outdoor covered pavilions and additional parking spaces. The structure’s future has been in limbo since voters in 2013 didn’t authorize the issuing of $217 million in bonds to turn it into a multipurpose venue. The institute says the proposal would need to be paid through a private-public partnership. Copyright 2015 The Associated Press. All rights reserved. This material may not be published, broadcast, rewritten or redistributed. “… but I am committed to the notion that it should rightfully be up to the pregnant woman alone whether or not to abort a pregnancy.”———–That’s fine. How about an addition to that: “It’s a man’s right to control his own wallet”. Meaning that a woman can choose whether to abort or not, and a man can choose whether to support or not.All of a sudden, feminists don’t like the sound of that. Wow! What a lot of information Samiyah. Next time try to choose a section which you could rewrite using your own words. I wonder if you could use any of this and what we learnt in class to write your avalanche story now? Good Morning to everyone attending. I Am coming from Greece and i also get a great net. Please Visit my world-wide-web site and told me your thought. You Possibly Can Find many good ideas and knowledge about my work. It Is free of cost 100% and with no need of registrator. Regards To the public that may check my completely new blog. It Will Aids my job. | | is the keyword in greek language. I work in a pharmacy at a hospital. We don’t really decorate, but we do adopt a family for Christmas. Everyone buys gifts for the family and wraps it up, I guess that could beconsidered our decoration. It is great buying something for a family who really needshelp especially at this time of year. Sacre bleu! What is this world coming to?! A bit of humor expressed in our temples of artistic reverence? Next thing you know our scholarly journals of commerce will be running art criticism fluff pieces!